Banish Those Under Eye Circles! So it seems like I have been talking about under eyes a lot recently, weird since I don’t really have any dark circles in that area. That may be because I’m still quite young (23) or maybe because of good genes, or because of how I treat my skin. Regardless, I thought I would mention a few products that I recommend to banish or prevent dark circles. 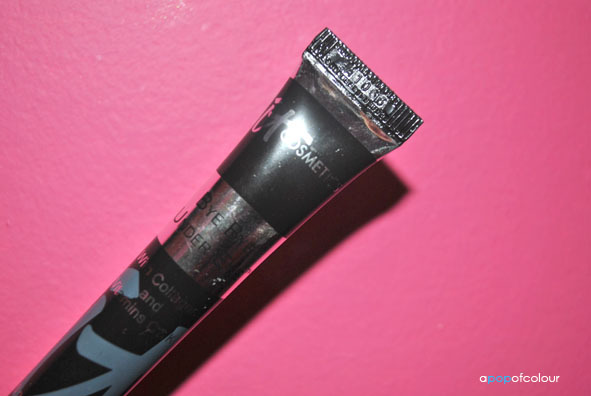 This 15 ml (0.5 fl.oz) tube may look small but it does wonders (and lasts a while too)! I will usually apply this cream to under my eyes and around up to over my brows every night before I apply my moisturizer. You only need a small dab of the product and it’s recommended to be applied with your ring finger. I’m not sure why they say to apply it with that finger, maybe because it’s your softest one… I’m not too sure. 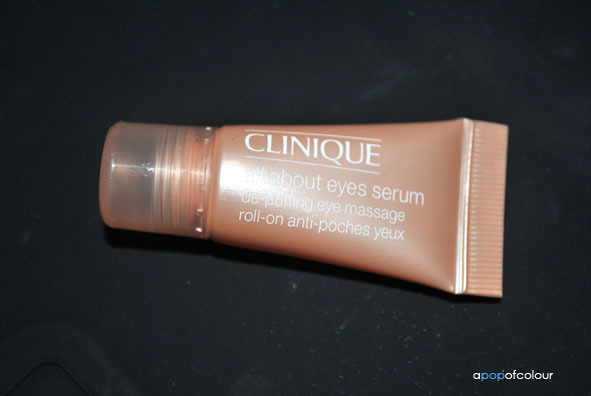 I really like this product, I don’t use it every night but I will apply it to my eye area at least five days a week. Also, I only apply it at night. 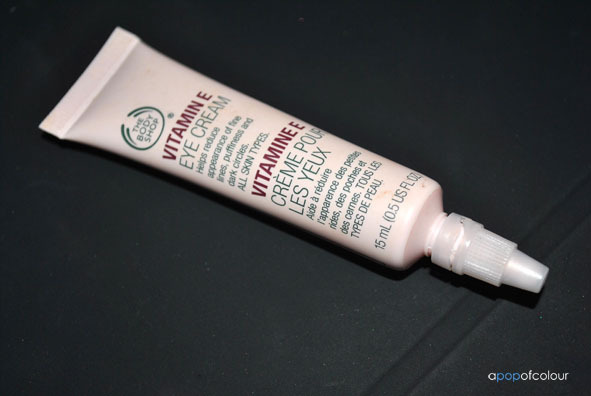 I didn’t have a bad under eye problem to begin with and after using this for a while I haven’t noticed any differences, which is always a good thing when it comes to dark circles. This de-puffing eye massage roller ball works wonders. This type of product first hit the market a few years ago and are readily available at drugstores (Garnier and Olay both make their own versions). Clinique’s version more or less does the same thing as any other one on the market. Basically what this product is is coffee for your eyes. Because it has that all-important ingredient of caffeine, the stimulant “wakes up” the skin around your eyes and thus reducing the appearance of puffiness. To be honest, I always forget to use this product. Also, another thing, I never know when to apply it and how long you can have it on for before applying my regular makeup. Clinique says to apply it morning, night, and as needed throughout the day. I have used it the odd afternoon and it did seem to work, in fact it feels very refreshing and cooling and it’s a nice mid-afternoon pick-me-up when I need it. That being said, when I do remember to apply it it does seem to do it’s job, puffiness is reduced and I feel instantly awake. Okay, I seriously sound like a broken record with this product, but I love this stuff so much! 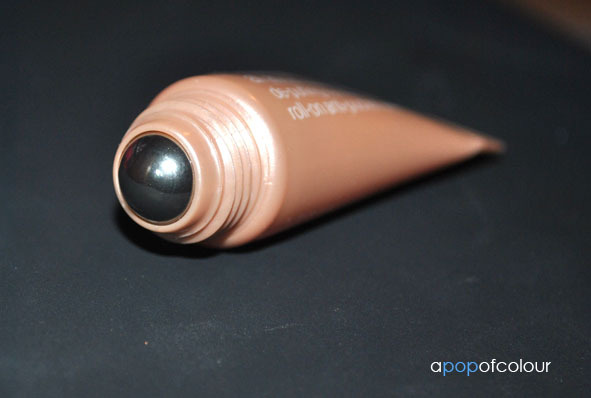 Full Coverage Waterproof Concealer with Collagen and Vitamins C&K. I have already done an in-depth review on this, but if you have bad under eye circles, pick this up! Like, now. You seriously need it in your life. And, it’s not just for under eyes. If you have blemishes, bruises, or dark spots that you just can’t stand, dab some of this stuff on (you don’t need a lot) and it covers it up and leaves you with a flawless finish. The stuff is quite pricey but it’s worth it in my opinion, especially if you have dark under eye circles. If you want to go the au natural way, try putting tea bags on your eyes to de-puff them (is that even a word?) and make sure you drink lots of water throughout the day! Hope this blog post helped! I’m always thinking of new ideas to blog about and this one came to me randomly one day. Leave me a comment below with your tips for banishing under eye circles or puffiness. 5Pingbacks & Trackbacks on Banish Those Under Eye Circles!